This was always a favorite of ours. This easy to make apple dessert uses Bisquick to make a batter for this cobbler. Combine sugar, water and cook for 5 minutes. Add apples and then cook them until they are done. Mix Bisquick mix, 2 tablespoon sugar, and cream. 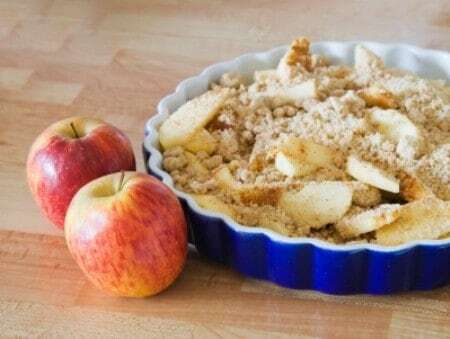 Drop by spoonfuls into a baking pan. Pour hot apples over dough and sprinkle with cinnamon. Bake at 450 degrees for 20 minutes. What do you do with the butter? This sounds so good, and easy. I will make this tonight for dessert!